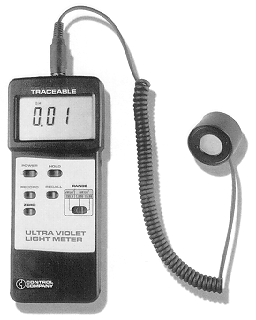 CSS UV and Visible Light Meter: Our new ultraviolet and visible light meter has an overall wavelength range of 320 to 390 nm. 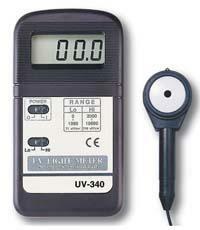 CSS UV Light Meter: Our new ultraviolet light meter has an overall wavelength spectrum range of 290 to 390 nm. The unit is ideal for collecting both UVA and UVB irradiance measurements. 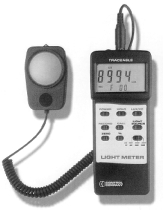 Dual-Scale Light Meter: Our Dual-Scale Light Meter measures visible light in both Lux and Foot Candles in three ranges. Source Correcting Light Meter: Our Source Correcting Light Meter measures visible light in both Lux and Foot Candles in three ranges.